Hi! I’m Kirsten. 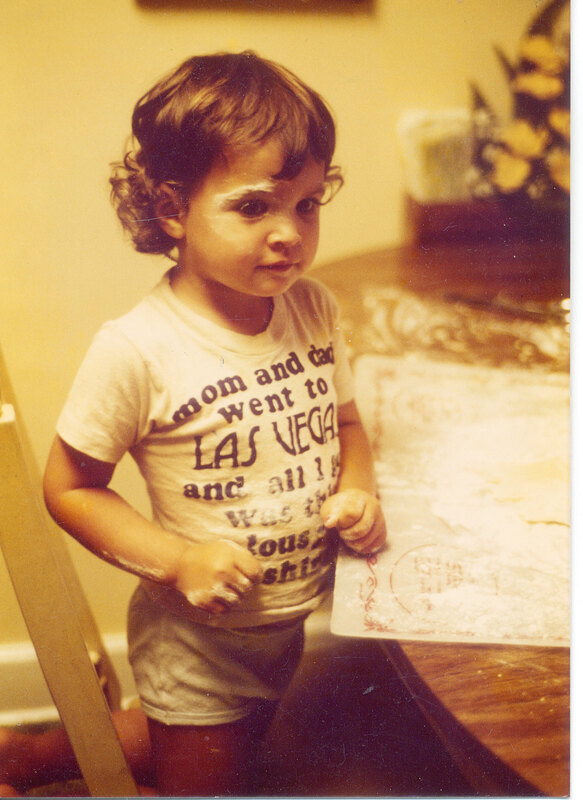 I’ve been making a mess in the kitchen since I was old enough to stand, attached to my Italian mother’s hip and lightly dusted in flour at all times. My first solo mission was a disgraceful batch of Mac ‘n Cheese in 1986 and I’ve been (more times than not) learning from my mistakes in the decades since. A few years ago when I stopped eating meat I sometimes found it hard to find interesting vegetarian recipes to make and, as time has gone by, friends have contacted me more and more for recipes they can make for themselves and their vegetarian or vegan guests. So, in January 2008 I started I Eat Veg as a collection of recipes, product/store-bought food highlights and restaurant reviews. In addition to many friends, you’ll be seeing my resident taste testers Daniel (Chief Taster) and his pup Claire (Chief Dessert Taster and Sous Chef). You can become a fan of the blog on Facebook, where I’ll share when the blog is updated or if there is an event I’m going to. You can be a fan HERE. In 2011, I turned this passion and curiosity for cooking into a career! I’m officially open for business as Fresh Chef Detroit — an in-home personal chef service in Metro Detroit. While I’ll take a stab at anything you can dream up, I do have a focus on vegan and vegetarian food (since that’s what I, personally eat) and restricted diets. You can add your e-mail to the Fresh Chef mailing list HERE and I will periodically e-mail out specials, news, events, etc. I am a member of the Michigan Lady Food Bloggers, a collection of roughly 80 women sharing their culinary adventures online. Our Facebook page with Blogroll can be found HERE. AND, last but not least, I volunteer for VegMichigan, the state’s largest vegetarian organization. They do amazing work to educate the public and vegetarians alike and have their big annual tastefest and expo in March. When I’m not doing all of the above, I tend to squeeze in a fair amount of knitting, which I sell on Etsy and write about on yet another blog. Are you currently interested in buying/owning the domain name ieatveg.com so you can redirect it to your website?